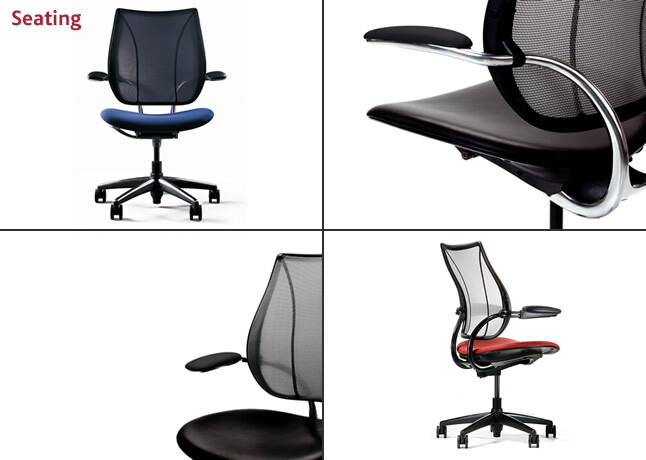 A Revolution in Mesh Seating Liberty, with Form-Sensing Mesh Technology, is unlike any mesh chair you’ve seen or experienced. With its tri-panel construction, Liberty has the body-fitting contours that single-panel stretch mesh chairs simply can’t achieve. And it offers perfect lumbar support for everyone, without external devices or manual adjustments. This chair has a lifetime guarantee on all parts.